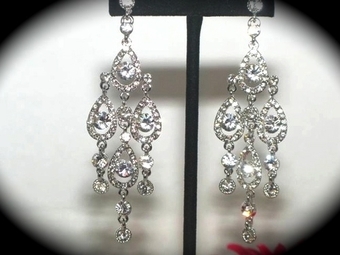 Description: STUNNING Swarovski crystal chandelier drop earrings, perfect for that special day. measures approximately 2 3/4" long. 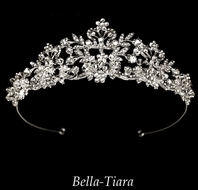 ***PLEASE NOTE MODEL IS WEARING SOMETHING SIMILAR, FOR MEASUREMENT ONLY - first picture is what you are purchasing.